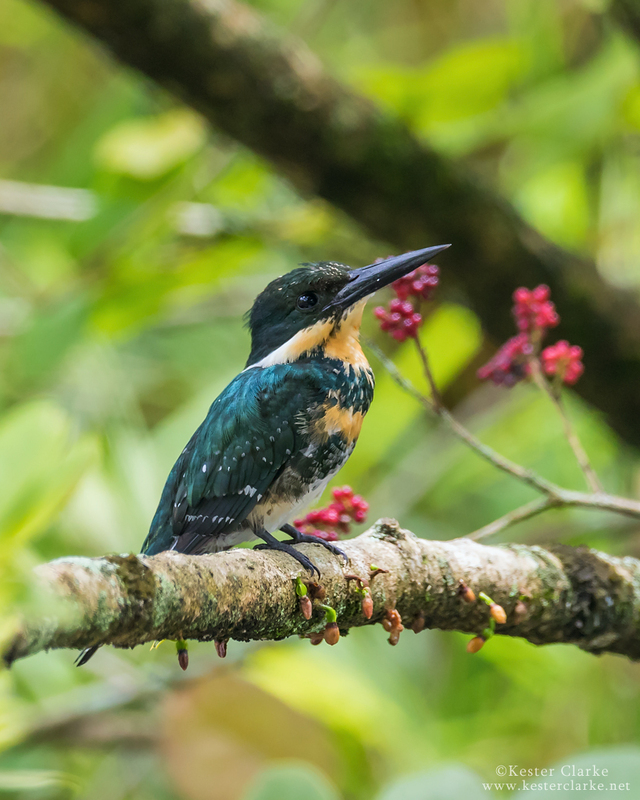 Green Kingfisher (Chloroceryle americana) perched above a canal in the Botanical Gardens, Georgetown. 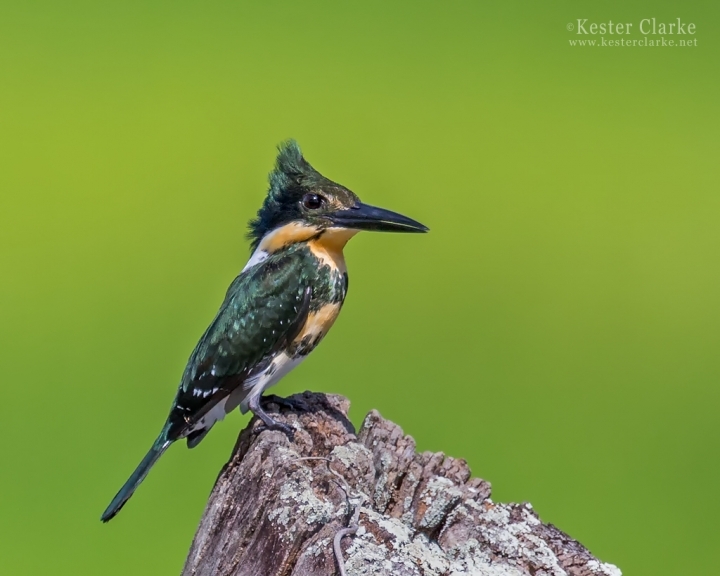 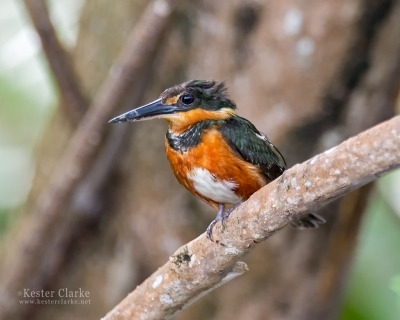 Green Kingfisher (Chloroceryle americana), female in the Botanical Gardens, Georgetown. 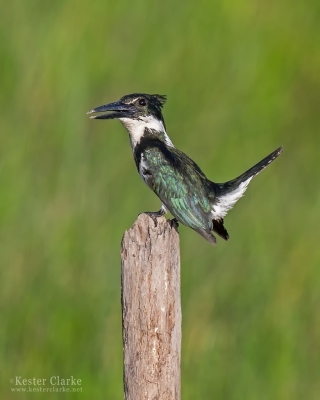 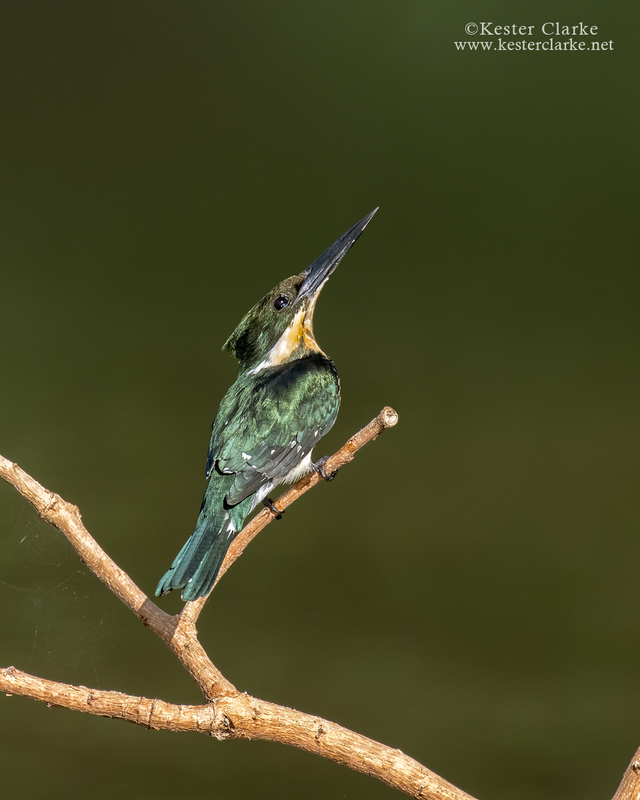 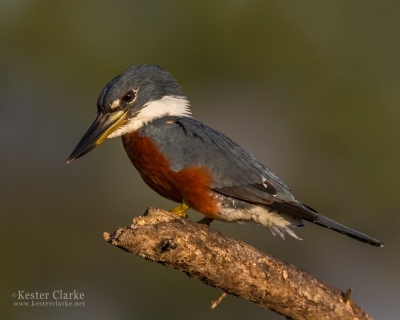 A female Green Kingfisher (Chloroceryle americana) in Drill, Mahaicony.